Born in China is a film that offers a view of China that we don't often see in an explosion of cinematic magic by the Disney Corporation. 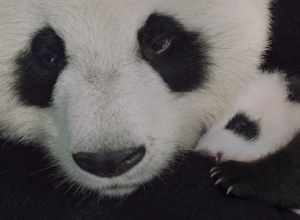 The film follows the three animal families of the majestic panda, the savvy golden monkey and elusive snow leopard in their journeys across the Asian country. The cast of The Rise Of The Guardians were out in force at the AFI Festival last night (November 4, 2012) as the film made its long awaited premiere debut in Hollywood. Though there are many big screenings taking places across the festival's eight days, plenty of attention has been placed on the forthcoming 3D computer-animated fantasy-adventure film which, in addition to the attending Alec Baldwin, Jeffrey Katzenberg, Nancy Bernstein, Peter Ramsey and Christina Steinberg, also stars Hugh Jackman and Jude Law.